The spring standardized testing season for MCA Testing, ACT+Writing, and MAP Growth Testing begins on Monday, April 15 and continues through the end of the school year. 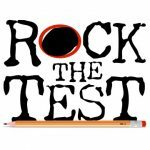 CPA students in grades 3-11 will participate in testing. Please visit the standardized testing page of the CPA website for more information about which students will take which tests, and review the school calendar to see when each class will be testing. These tests are designed to measure student mastery of the standards, as well as student growth over time, so it is important for students to do their best. Getting a good night of sleep and eating a healthy breakfast can help set students up for successful testing.